Address: 17 N. Gratiot Ave. 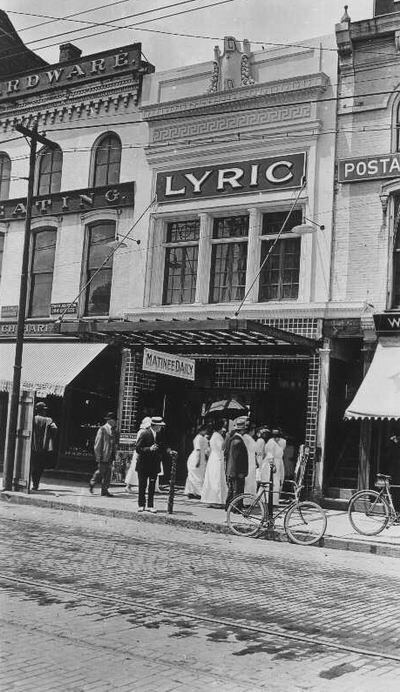 Exterior view of the Lyric Theater, located at 17 N. Gratiot Ave. The R. C. Ullrich Hardware, at 15 N.
Gratiot, is visible at left. The Lyric was built in 1913 by H. H. Lichtig, and opened to the public on June 25, 1913. The building was razed in August, 1929 to make way for the construction of an S. S. Kresge store.